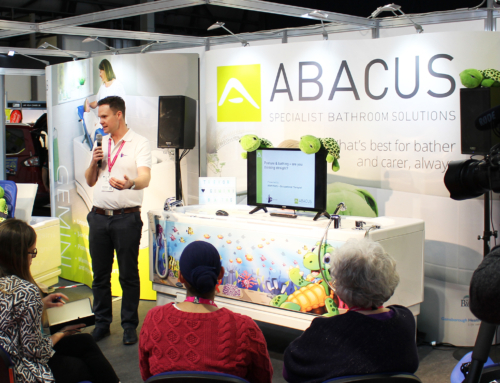 We will be launching our new integrated BioCote antimicrobial technology at the OT Show – now available in all Gemini 1700 and 2000 assistive baths (Stand J40, NEC, 21-22 November). 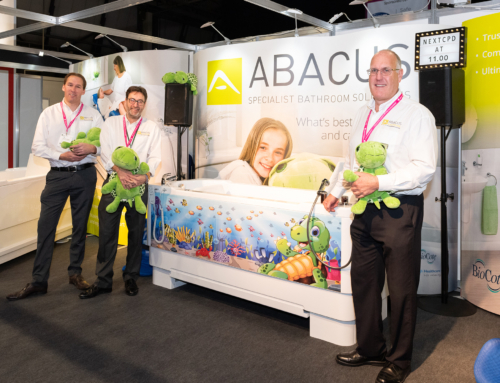 We are part of the Gainsborough Healthcare Group, a proven specialist in safe assisted bathing and regarded by many as an innovator in paediatric care. This dynamic approach has led to the introduction of BioCote within our Gemini baths so that infection and illness can be reduced. The antimicrobial benefits of BioCote have been available within the Gainsborough Specialist Bathing range since 2016 – a Gainsborough Healthcare Group brand operating in the long term care sector. This silver-ion based technology has been proven to reduce harmful bacteria by up to 98% within care homes and hospitals. It continues to provide 99.9% 24/7 protection against harmful superbugs such as Influenza H1N1, E.coli, Salmonella and antibiotic resistant MRSA. 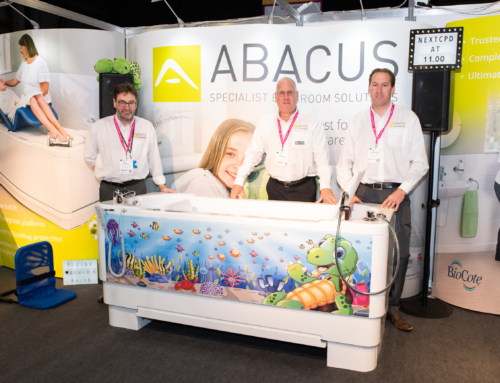 This impressive capability is now supplied as standard in Abacus Gemini baths including our new larger 2000 model, also launching at The OT Show. BioCote is not a coating, it is integrated into GRP during the bath manufacture so cannot be wiped or worn away. Therefore, it provides consistent, infallible protection throughout the life time of the bath. This invisible component reduces stains, odours and enhances bath surface durability. Free advice and information, including evidence-based case studies, will be available to all professional visitors keen to understand how BioCote improves client and carer well-being.